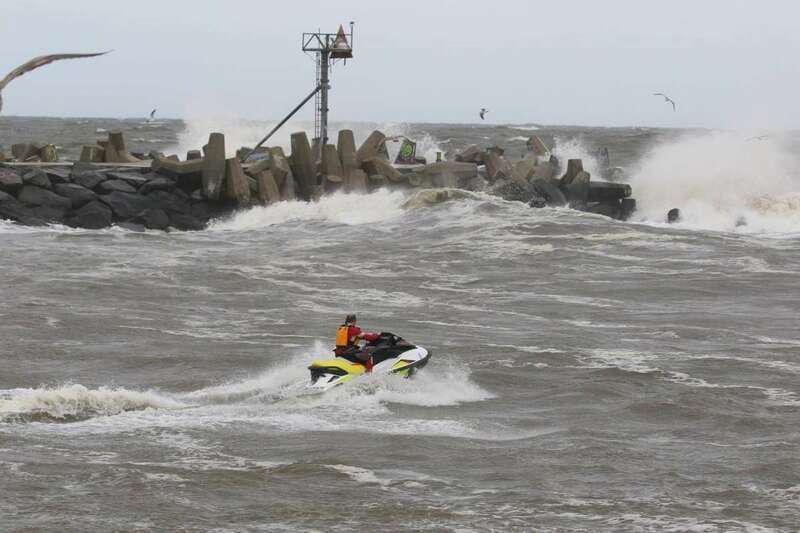 A jet skier is fortunate to have been rescued from the rough Manasquan Inlet earlier today by a U.S. Coast Guard flight crew that had just happened to be passing by. 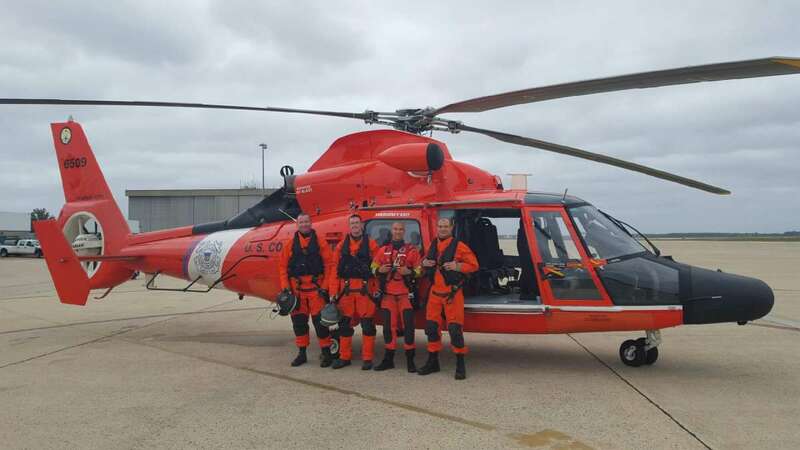 In a telephone interview, Chief Nick Ameen of the Coast Guard Public Affairs Detachment in Atlantic City, N.J. said the helicopter from Air Station Atlantic City operated by Lt. Cmdr. 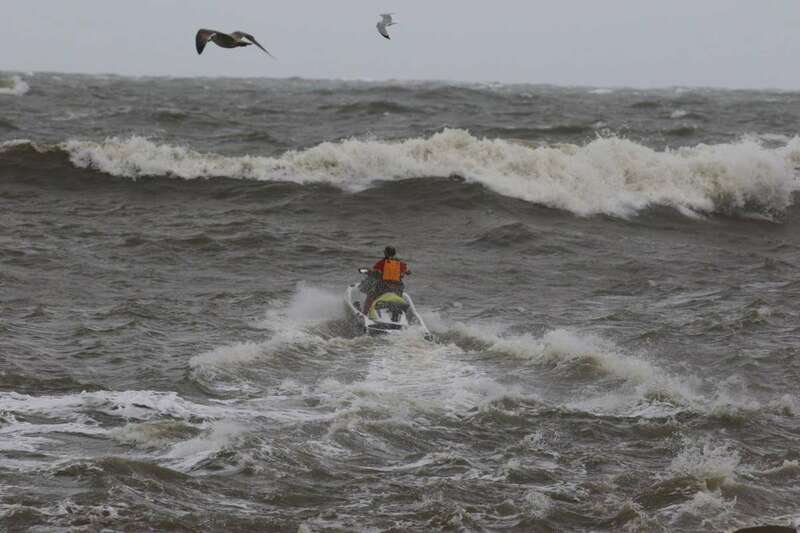 Edward Dipierro by Lt. Richard Bicsak was already in the air on a training mission when Aviation Survival Technician-3 (rescue swimmer) Billy Arrison spotted a jet ski with no one aboard drifting toward the jetty. 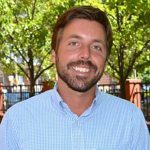 They approached the scene, and flight mechanic Aviation Maintenance Technician-3 Kyle Thomas lowered the swimmer down, who subsequently grabbed the man and signaled to hoist upward, Ameen said. 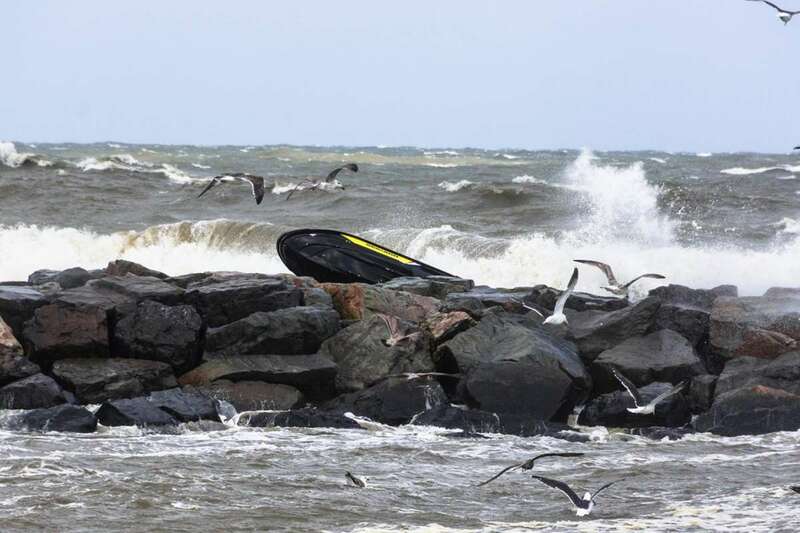 The crew then pulled both high enough to clear the wave, slowly flew over to the beach, and gently lowered the man to the sand, where the swimmer unhooked the cable to make sure the jet skier was safe, according to the spokesman. Ameen did not know if the man, who he did not identify, was injured, although a first aid squad evaluated him. 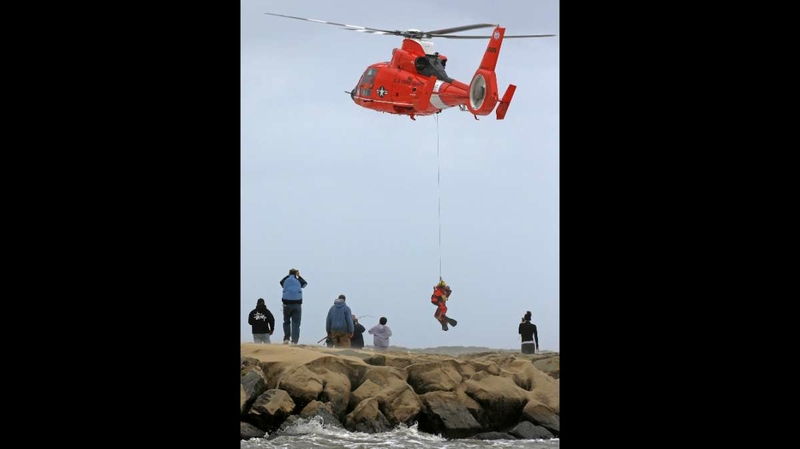 “The timing was incredible that the flight crew was passing by at that time,” he said.